Recently, I had the pleasure of being a maid of honor in my friend's wedding, and while there's a lot of lovely stuff to say about that (the dress! the love! the venue! 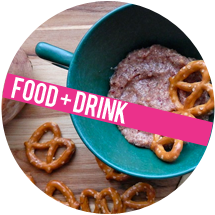 the free drinks! ), what I really want to talk about is makeup. I could've gone with a professional, but true to my DIY mindset, I challenged myself to put together a look that would be strong enough for wedding photos, long lasting and budget-friendly. My friend was super relaxed about our individual looks, but you should check with your bride if you're thinking of going in a different direction, beauty-wise. Start with a clean, moisturized base - this lotion is light and sinks in quickly, plus there's no SPF, which can flashback oddly in professional photos. This is full coverage without a mask-like feel. Work in small sections because it tends to dry quickly. My foundation was still at least 85% perfect about 15 hours after application. Great for under eye area. Gives a light, bright look which would work for contouring, as well. Brush tip is handy for application. Top your foundation with this matte powder which seals everything in, but still lets your skin look alive. I had this in my clutch for touchups and never needed it. This matte bronzer is perfect for warming up your face and contouring. This is technically eyeshadow, but I used it for light cheekbone and jawline contouring, which is a good idea for professional photos. The cream formula blended into skin and stayed put. Best drugstore blush! These blushes are nicely pigmented, and also have a glowy highlight in them. I love peachy shades for my skin, but there are several warm and cool toned options. Use with a brush for any redness or blemishes. Thick but blend-able. Best highlighter ever. I still have my free sample from Sephora, but a good drugstore alternative is Sonia Kashuk's Highlighter Stick in Sparkling Sand. Perfect for cheekbones, eyebrow arches, inner corner of eyes and cupid's bow. Set your face with a few spritzes of this. I spray in the air above my face and then look up to the ceiling and let it fall down on me. Cheap from Marshall's/T.J. Maxx. Works beautifully to give a soft finish to foundation and cream products. Blends contour cream perfectly! Good for bronzer or blush. Use to dab highlighter over cheekbones. Great for giving a finishing blend to foundation. Use this for setting power, for face and lips (mentioned below). Good size for applying blush on apples of the cheeks. 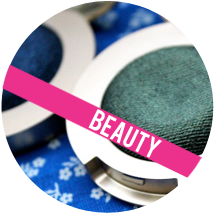 Obviously, this isn't drugstore, but one area to splurge in if you're able is eyeshadow. I already had this (very old) Urban Decay palette, but some good long wear drugstore shadows are L'Oreal Infallible Shadow and Maybelline Color Tattoos (if you like cream formulas). I created a brown smokey eye with Sellout all over my lid, Twice Baked in the crease and a touch of Perversion in the outer corner to add a little drama. I also lined my bottom lash line with a little Twice Baked on the outer half and Sellout on the inner half. I'm pretty sure Sellout is the world's best eyeshadow. I find this just as effective as Urban Decay's Primer Potion for so much cheaper. I used this to line my bottom waterline because even my best pencil liners wear off there eventually. I topped it with Urban Decay shadow in Perversion to make it last even longer. I used this little brush to pat Perversion on top of my gel liner. Perfect for packing shadow all over the lid. For cheap alternatives, I like Target makeup brushes, and the ELF shadow brush is fine too. Drugstore waterproof liquid liner is RARE. I went with this one, and while not perfect, it lasted all night and survived tears. Get experience using this for a week or more before the big day because the brush and formula feel a little different. Awesome drugstore mascara. You see an instant difference when it goes on, and it is seriously waterproof (wore it swimming before). Comes off easily with Pond's or oil-based removers. I switch between pencils, powders and gel for my brows, but for all day wear I need this stuff. Use a tiny speck to brush on perfect color that also keeps hairs in place. I like to brush my brows down, draw on a line of gel with a brush where I'd like my top perimeter to be, and brush the brows back up into place to hide the harsh line. Fill in the bottom and tail as needed. I use this for shadow along my lower lash line. Perfect for adding dimension in the crease and blending crease shades into highlights. This is a paintbrush that I use to fill in my brows with the NYX gel. Perfect to add gel eyeliner to the bottom waterline. Needed to brush brows into place. Can also use an old (clean) mascara wand. Awesome curler that comes with free replacement pads. To me, this is another worthy splurge. I've had this for years and it works better than cheaper ones I've used. I like it as much as the Shu Uemura curler. My go-to false lash for when I (rarely) need them. Dramatic, but not costume-y. Fits my eye perfectly. Best, most reliable eyelash glue. Dries clear. Dab a bit on the back of your hand, drag lash band through it and give it 45-60 seconds (longer than it says) to get tacky before applying. Before any color, you need a smooth base. This is cheap and works so well. Apply like a lipstick, scrubbing extra where needed. The sugar crystals smooth while the oils moisturize. Give yourself some time for this to work before you apply your color. Start with a lip liner around your lip line. I stick to my natural shape, but this is the step to over draw if that's what you're going for. Fill in your lips with the liner. Cover lips in a thin, even layer and let it dry. Once set, tear a tissue in half so that it's one-ply and place it over your lips. Brush some translucent powder over the lips to seal in color. You can use a lip brush to spread the color if you'd lip. 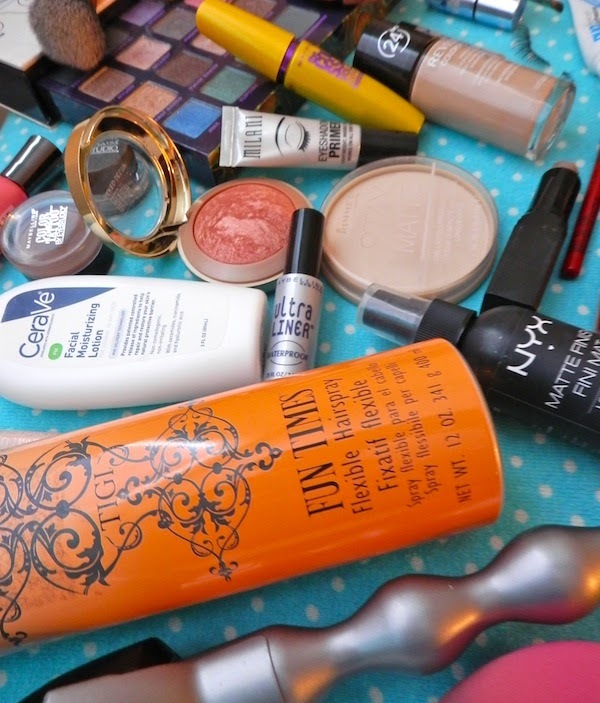 Another area to splurge if you can is hairspray. I've always used cheap ones and I just learned that good ones make a huge difference! They stay better, and they don't make my hair feel so weighed down and crunchy. This one was on clearance at Marshall's for $8.00! I had this by my side at the hotel and the bridal suite and we all used it many, many times. My curls stayed in for days after the wedding (I wore them as long as I could before washing!). Even on clean hair, this gives a little lift and thickness to the root. Awesome for brushing out long hair! My favorite tool (and blog namesake) for combing bangs, smoothing small hairs and combing out sections of hair right before curling them. Essential! 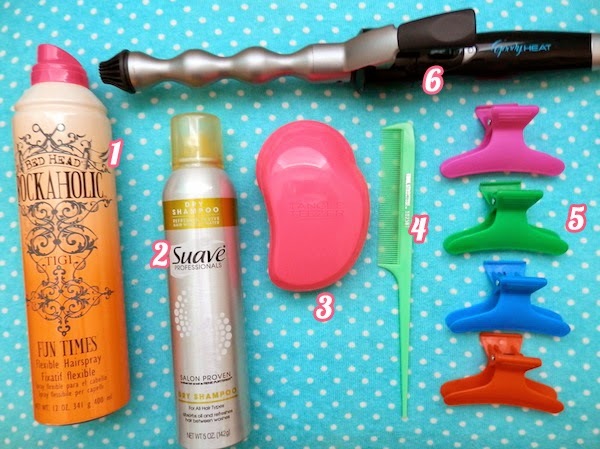 For sectioning hair before curling. I like to start curling in the back and work my way up to the front. My one true hair love. This thing is so easy to use and always gives me perfect waves-bordering-on-curls, which is my favorite. It gets super hot super fast and all I have to do is lightly spritz a section with hair spray (I used small sections for this look), wrap it around the bubbled iron and unravel to get perfect little spirals. I let them cool while doing my makeup and them carefully comb them out with my fingers. Spray and tousle until it's to your liking. I don't think this model is made by Goody anymore (why?! ), but Bed Head makes one too. Any will do, but I love this one from Sally's Beauty Supply and it's less than a buck. This is also from Sally's and it's made a huge difference in my nail strength. This shade is a perfect coral - not too pink and not too orange. 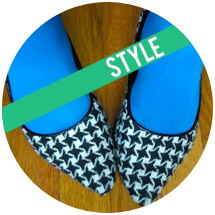 I wanted something in the realm of "normal" that would compliment our teal dresses. Such a gorgeous shade in person! 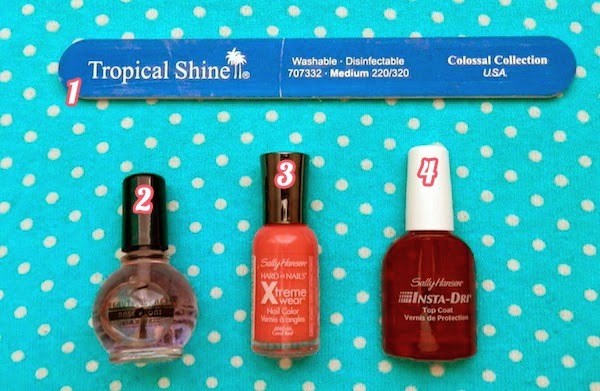 A great long wearing top coat that dries pretty fast. For ultimate speed, I'd recommend Seche Vite. I applied my makeup around 10:00 AM. 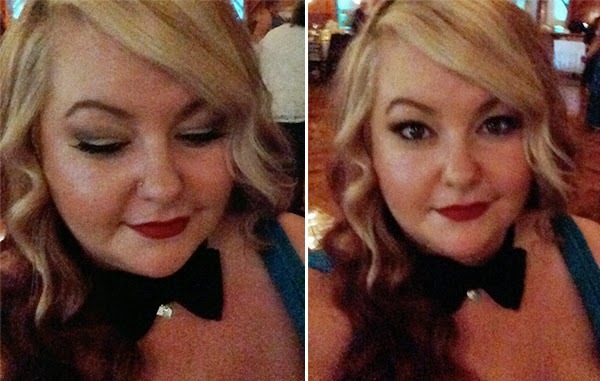 And here's my makeup around 9:00 PM, at which point I had stolen my boyfriend's bow tie. I don't have many great photos of my handiwork because I was busy maid-of-honoring, and, you know, enjoying myself, but hopefully you can see that you DO NOT have to spend a ton on makeup to have it apply well and last all day. There are weak products at the drugstore, just like there are weak products at the department store counters. Knowing what works for you is what's important. Have you ever done your own makeup for a wedding? What are your favorite high performance drugstore finds? Do you also have a lot of feelings and thoughts about makeup? Wow! I am super impressed! That's a lot of research. You look great! 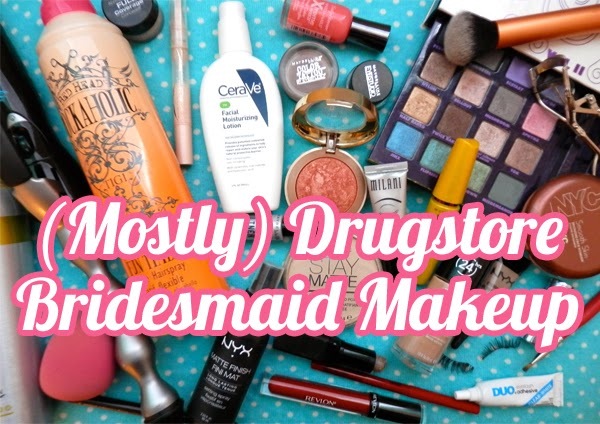 The only wedding I've ever been in was my sister's, and she got married when I was 16 so I'm thinking my makeup at the time was probably drugstore stuff by necessity. 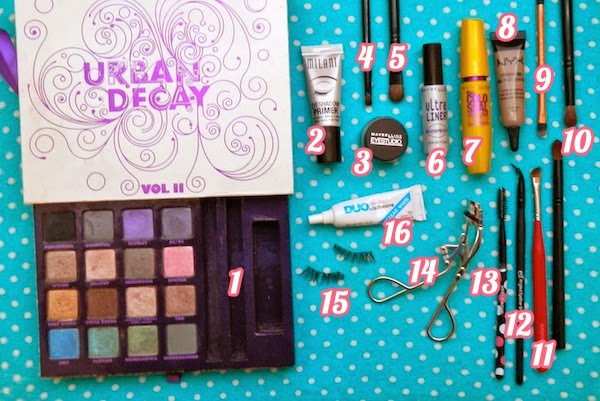 I think it's totally possible to put together awesome special occasional makeup from inexpensive brands though - in fact, I spot a few items I have in my own makeup drawer on this list! Good tip about the SPF, I think people sometimes forget about that and they're like "Whaaaaat?" when they see the photos. Wow! You look fantastic! I've just been to a wedding (wasn't the maid-of-honor so I could sit back and relax) and in the days before I had so much fun doing research and picking and swatching all sorts of makeup from my collection (and from the store, oops)! I used to use the Rimmel Stay Matte all the time. I would still use it if my skin weren't so dry and sensitive. How did you like the Revlon 24hr foundation? My mom wore makeup, once, and it was the Revlon 24hr.. I liked the color match, but it's hard to know how the foundation wears without actually wearing it. And all my mom had to say was that it felt "weird" because she's not really used to makeup and also has sensitive skin.. 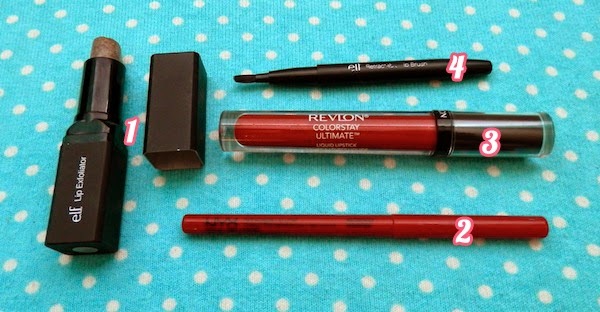 I can't leave my opinion of Revlon 24hr to that.. I once bought the Revlon photo ready, because there was a shade light enough to match my skin, and after using it 40 times I realized it was horrible-looking in person in different lighting. I think it may have had to do with the higher SPF in it. I'm still kind of "scared" to purchase another Revlon foundation, but I can't keep buying $42 foundations at Sephora. haha! You look lovely! 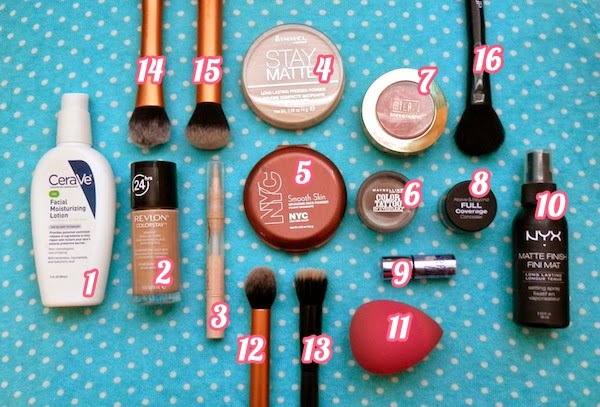 This just shows that there are some really good products you can find from the drugstore too! You looked amazing. I love your hair and makeup. And I agree, you do not have to spend a lot of money to look amazing. Great job. 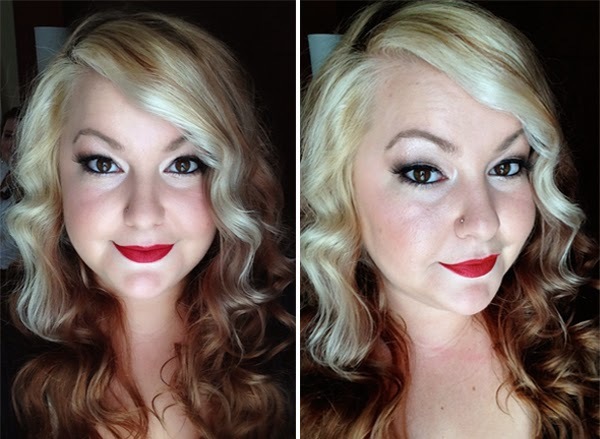 I always do my own makeup (even for weddings) and I love Bourjois Rouge Edition Velvet lipsticks (review here). This are great stuff here and I am curious on that curler everytime i see them at store and I like how it curls your hair as close to your top. I like to curl my hair too and will try this one. Never tried the suave sry shampoo but maybe i will now. I like the Oribe but it's on the pricey side. Thanks for stopping by my blog. What a nice make up! 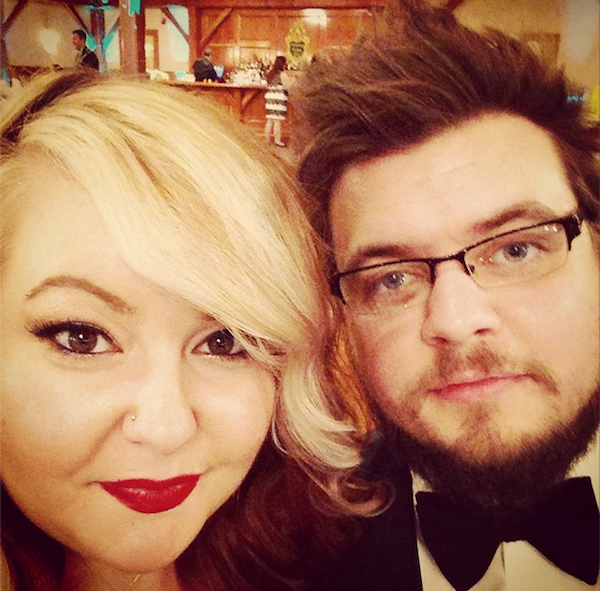 I actually posted my wedding day make up a little while ago and I think it was just the amount of products that you used for your lips. I am just not as good with make up as others are. Anyway, you look stunning!